Did Farah Khan hint at remaking ‘Satte Pe Satta’, ‘Chalti Ka Naam Gaadi’ & ‘Hum’? 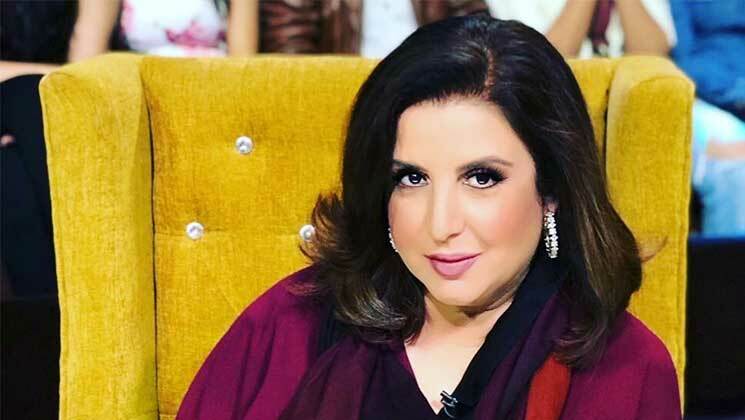 Home Bollywood News Did Farah Khan hint at remaking ‘Satte Pe Satta’, ‘Chalti Ka Naam Gaadi’ & ‘Hum’? Now, that’s cheeky, isn’t it? Farah confirmed that she is remaking but did’t quite confirm as to which film. We are left confused, but more so, excited. We wonder what will be Farah’s next project. She has given her mass entertainers like ‘Main Hoon Na’, ‘Om Shanti Om’, ‘Tees Maar Khan‘ and ‘Happy New Year‘ . To add to her mass effect, we also have Rohit, who is the king of masala blockbusters. The two coming together will surely create havoc at the box-office, and with them thinking of a remake, it’s a sure shot winner. Which one do you folks want to see remade first? Share your thoughts with us.